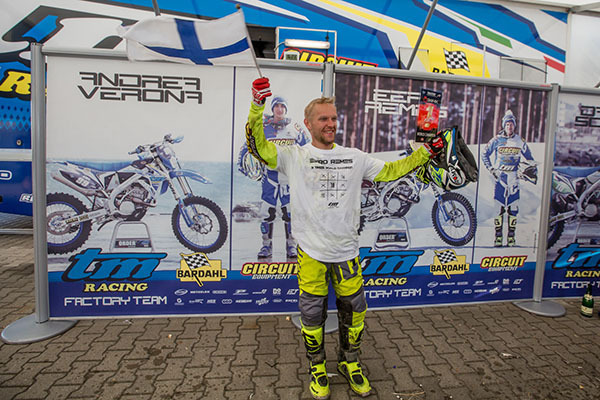 Eero Remes (TM) claimed the 2018 FIM E2 Enduro World Championship in a dramatic final round in Germany that saw a 22-point swing between the Finn and Alex Salvini (Husqvarna), as the Italian lost his grip on the title he won back in 2013. 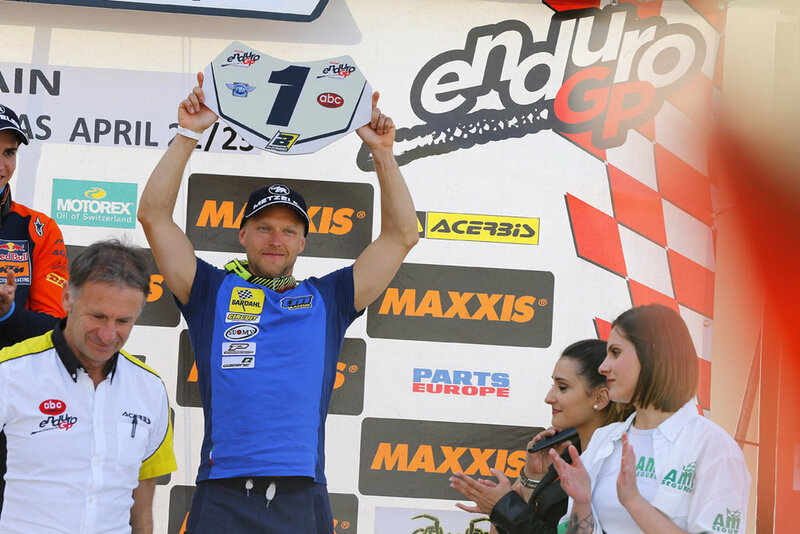 Remes is himself a double former FIM E1 Enduro World Champion from 2015 and 2016 and he added the E2 gold medal to his collection after a season-long battle with his Italian rival that saw the pair dominate the top step of the podium right up until a fateful final day in Rüdersdorf. The Finn opened his account with a double win on in Tallin, to which Salvini responded with consecutive doubles in Spain and Portugal. The pair then shared the wins in Estonia and Italy, either side of a single-day success for Salvini in Trentino, and then again in France, with Salvini’s superior podium consistency giving him a fourteen-point cushion going to the final round. However, a season that wielded eight wins in E1 and six in EnduroGP would end in heartbreak for ‘Salvo’, who finished a solid third on the opening day to all but secure the title, only for a branch to tangle with his bike and break a cable on day two. It meant that Remes, winner on the opening day, was able to coast home in second place behind Loic Larrieu (Yamaha) to take his third title, with the Frenchman moving up to the runner-up spot overall. 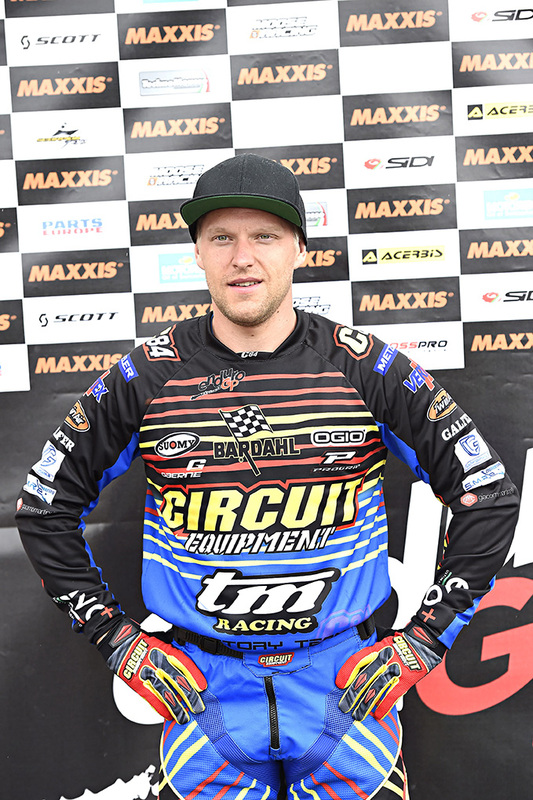 Eero Remes (TM) successfully defended the FIM E1 Enduro World Championship he won for the first time last season, overcoming a strong challenge from Nathan Watson (KTM) in the final round of the season atCahors, France. British youngster Watson took the fight to the champion from the first round of his rookie season, the 21-year-old having only switched from MXGP at the end of 2015, maintaining an unbroken podium run for the first twelve races, which culminated with a first win in Sweden followed by a double success in Euskadi. However, Remes' strong start proved crucial, the flying Finn taking victory in each of the nine races up to Watson's debut success and then scoring another double in the penultimate round in Italy to set-up his title shot. Watson did all he could with another double of his own at the decisive final round in France, but a second and a third were enough for the 31-year-old Remes to seal his second consecutive title by nine points. In the absence of his brother Jamie, who missed the bulk of the season after injuring his foot, 2014 FIM Junior Enduro World Champion Daniel McCanney (Husqvarna) continued his rise through the ranks, picking up six podium finishes, including three seconds, on his way to third overall.